WFU and Forklift Danceworks are partnering with facilities staff to co-create a large-scale performance on Hearn Plaza on Oct. 4 and 5. “From the Ground Up” will highlight the skill and grace in the work they do. Forklift is a dance company that activates communities through a collaborative creative process. Through a series of residencies, Forklift artists are partnering with Wake Forest Facilities and Campus Services staff on a large-scale performance to take place on Hearn Plaza on Oct. 4 and 5. More information on tickets will be shared closer to the event. From garden beds to residence halls, from door frames to rooftops, facilities staff work across campus every day. 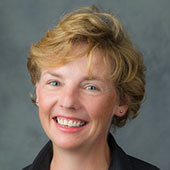 “From the Ground Up” will highlight the skill and grace in the work that keeps the campus running. Getting a rundown of morning duties from Darlene Penn and Melvin Lee. London Thomas (left) and Roger Roberts share the ins and outs of their work. Andrew Norton (left) and Chris Boston share lessons in landscaping. Jay Huffman teaches table saw techniques to Kengo Aoshima ('21). Ben Venable oversees Eva Dickinson ('19) and Renting Cai ('21) on the lathe. Rob Hager installs lighting in Poteat Residence Hall with help from students. During the multi-visit residency on the Reynolda Campus, IPLACe has connected Forklift with staff, students and faculty for this community-based art making project. The Forklift team will be on campus from May 13-16 to continue job shadowing and planning for the performance. 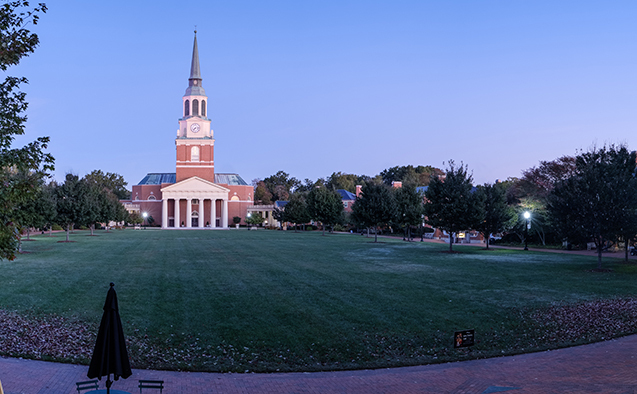 Wake Forest students will be working as support staff for Forklift and the facilities team in the fall by helping with behind-the-scenes preparations. Founded in 2001 by Artistic Director Allison Orr (‘93), award-winning Forklift Danceworks presents innovative performance projects with diverse communities. 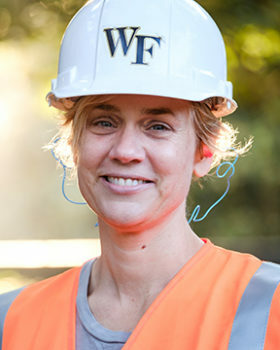 Wake Forest is the second of three universities collaborating with Forklift Danceworks. To learn more about the size, scale and purpose of Forklift Danceworks productions, visit their website and watch the trailer for “Trash Dance.” The award-winning documentary film chronicles the creation of a Forklift production with waste management crews in Austin, Texas. Through a multi-visit residency on the Reynolda Campus, IPLACe has worked to connect Forklift with staff, students and faculty for a community-based art making project celebrating the work of the University’s facilities and campus services team. The performance will be held on Hearn Plaza Oct. 4 and 5.